In a word, it is an island of wonderful models, whose place is on the world catwalks. Among the well-known representatives of Cuban unique beauty can be called many famous models and TV presenters. Cuba is widely known as the Island of Freedom. Here in the valley landscape, picturesque mountains and high hills charming small towns are scattered, where live incendiary Cuban women. The real beauty of these girls is in their simplicity. They are not trying to prove someone their attractiveness, they are beautiful just for the simple reason they are Cuban. What are the features of Cuban women? Women do not trouble themselves with manicure and feel free to walk on the street even in curlers. While Cuban men respect women in the body, almost all the girls on this island are sporty enough and clean-cut. Summer here is during the year, so a female wardrobe consists of a few shirts, a pair of shorts and skirts. You can meet girls in short skirts, and older women in knee length skirts. Cuban girls are proud and temperamental. They are always happy and have positive mood. Their freedom and openness attract men from all over the world. Their favorite activity is dancing to the sounds of the Italian guitar and African drums. Also, girls here are known for their amorous character. They love men and can be the first to smile without any problems. This says rather about their democracy than the promiscuity. Young mulattoes, Creole ladies, negresses have a complex variety of sensual beauty. Sometimes it is difficult to take your eyes of them. Over the years, Cuban women have full bodies as masterpieces of colonial architecture, which, paradoxically, does not weigh down the plasticity of their movements. Indeed, most of the girls have the magnificent buttocks form. The reason is very simple - at the first day of the birth girls are placed in beds on their tummies and while bones are young and flexible, the buttocks are shaping well! That is the whole big secret! A sign of the success and well-being of Cuban ladies is the amount of gold, put on them. The desire to show their worth comes to the point of absurdity, and you can often meet a girl with two or three gold watches and bracelets from a hand to an elbow. Cuba has patriarchal families. The Cubans often make light to premarital relations among young people, while they very strictly approach to the question of morality and role distribution in the family after the marriage. A wife is obliged to do all the housework and child care on her own, even when she works along with her husband, earning even more sometimes. Cuba - one of the largest Caribbean islands, the climate of which is composed of three hundred days of sunshine a year. Famous writer Erenst Hemingway called this country a Paradise on Earth.Residents of this sunny state renowned for their hospitality and cordiality. Cuban women are considered to be the most sunny and optimistic. Having decided to make a Top-13 most beautiful Cuban women, I found a well-known representatives of beauty contests, models,singersand actresses who have Cuban roots. 13. 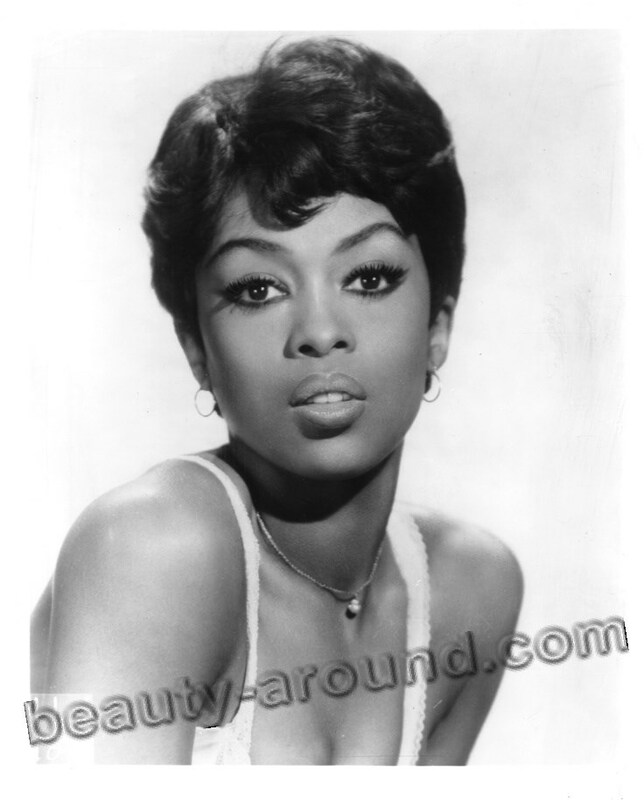 Loletha Elayne "Lola" Falana (September 11, 1942) - American singer, dancer, and actress. 12. Eva Mendes (March 5, 1974) - beautiful American actress, model, singer and clothing designer. 11. Daisy Fuentes (November 17, 1966) - Cuban-American television host and model. 10. Genesis Rodriguez Perez (July 29, 1987) - American actress. She has Cuban roots on the maternal side. 9. Christine Flores (September 26, 1981), better known by her stage name Christina Milian, is an American actress and singer-songwriter. She was born to Afro-Cuban parents. 8. Anabelle Acosta - American actress, model and dancer. She born in Havana, Cuba but raised in Queens, NY she is of Cuban-American heritage. 7. Valerie Cruz (July 18, 1976) - American actress of Cuban ancestry. 6. Cameron Michelle Diaz (August 30, 1972) - American actress and former model. Her father's family were Cuban. 5. Natalie Martinez (July 12, 1984) - American actress and model of Cuban ancestry. 4. Bianca Alexa Santos - American actress. She is of Cuban and Brazilian descent. 3. Melissa Fumero (nee Gallo; August 19, 1982) - American actress is of Cuban descent. 2. Ana Celia de Armas Caso (April 30, 1988) - Cuban actress. She currently lives in Madrid, Spain. 1. Odette Juliette Annable (May 10, 1985) - American actress. Her mother, Lydia, is Cuban. In my opinion she is most beautiful among cuban women. too bad Cuban women cannot participate on beauty pageants because Fidel does not allow it. I guess it would not matter since what matters is the money who pays more gets the crown. Never knew Cameron Diaz had Cuban blood. I love Odette, have done for a long time. Also Eva Mendez. I believe that Judge Maria Lopez is absolutely gorgeous! I wish her show was still on television. She was also tough and I love her voice. She's one spicy mama!